In process of growth, children need nutrient for help his growth, Know the important of nutrition that needed by body's of child. 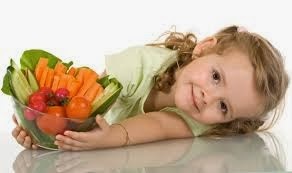 Each nutrition that enter to body have the function of it self, because every child need varieties of food for satisfy all needs. Below are the nutrient that needs by children in their growth process. Nutrition is useful to build the cell, regulate the nervous system, strengthens the cardiovascular system, boost the immune system, is required for brain and eye function and help the body absorb energy. Intake for children aged 1-3 years of 0.7 grams per day for omega 3 and omega 6 to 7 grams, while the age of 4-8 years of 0.9 grams per day for omega 3 and 10 grams for omega 6. This vitamin plays an important role in vision and bone growth, protecting the body from infection, increasing the growth of cells and tissues. Intake for children aged 1-3 years as many as 1,000 IU (300 micrograms RAE / retinol activity equivalents) per day and for children aged 4-8 years as many as 1320 IU (400 micrograms RAE). Its source of carrot juice, sweet potatoes, broccoli, raw spinach, papaya. This vitamin helps to improve and shape of red blood cells, bone and tissue, keeping the child's gums and strengthen blood vessels, and helps the body absorb iron. Intake for children aged 1-3 years as much as 15 mg per day and for children aged 4-8 years by 25 mg per day. Its source of red guava, kiwi, mango, strawberries, potatoes with skin. This vitamin helps the body absorb minerals like calcium and build strong teeth and bones, play a role in cell regulation and insulin production. Intake for vitamin D is not looking at age, the average requirement of vitamin D for children as much as 400 IU (10 micrograms) per day. The source is egg yolk, salmon, mackerel. This vitamin is limiting production of free radicals that can damage cells, DNA repair and other metabolic processes. Intake for children aged 1-3 years as many as 6 milligrams per day and children aged 4-8 years was 7 mg per day. The source is corn oil, soybean oil, mango, kiwi. Nutrition is working to keep the bones stay strong, steady heart rhythm, muscle and nerve function and supports the immune system. Intake for children aged 1-3 years was 80 mg per day and children aged 4-8 years as much as 130 mg per day. Its source avocado, banana, raisins, brown rice. 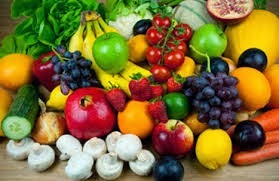 Nutrition is useful for building strong bones and teeth, nerve and muscle function promotes a healthy, help the process of blood clotting and helps convert food into energy. Intake for children aged 1-3 years is 500 mg per day and age of 4-8 years as much as 800 mg per day. Its source of tofu, tofu, yogurt, milk, cheese. These nutrients work together with sodium to control the fluid balance in the body, keeping blood pressure, muscle function and reduce the risk of kidney stones and osteoporosis. Intake for children aged 1-3 years as many as 3,000 mg per day and for children aged 4-8 years as many as 3800 mg per day. 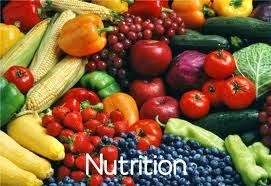 The source of the potato, tomato juice, sunflower seeds, spinach, almonds, watermelons. Nutrition is important in making hemoglobin (the red pigment in blood oxygen carrier) and myoglobin (oxygen storage pigment in muscles). Intake for children aged 1-3 years at 7 mg per day and children aged 4-8 years at 10 mg per day. The source of the spinach, beans, oatmeal. These nutrients are needed by more than 70 enzymes that help digestion, metabolism and is essential for growth. Intake for children aged 1-3 years as many as 3 mg per day and children aged 4-8 years as many as 5 mg per day. Its source skinless chicken breasts, fruit yogurt, tofu, mozzarella and cheddar cheese.